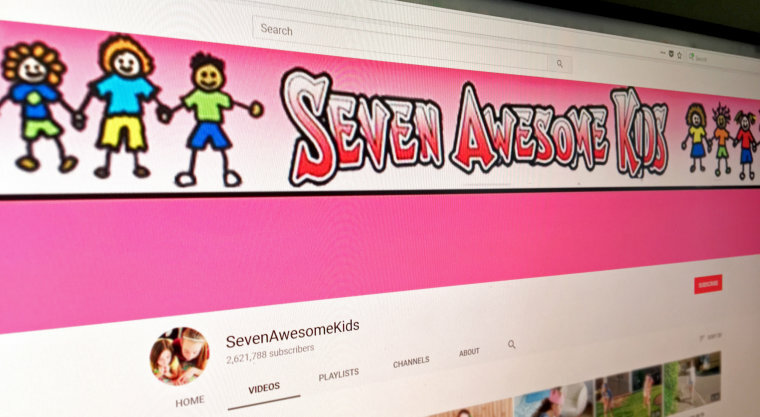 The tween-focused YouTube empire has a total of 17 million subscribers over its seven channels. One of the founders of YouTube's top channel for tweens has been arrested for allegedly molesting a 16-year-old girl in Florida. Ian Rylett, 55 — one of the original founders of the "SevenAwesomeKids" brand — was arrested on Aug. 17 and charged with "lewd" and "lascivious" molestation after detectives were called to his Orange County hotel room. According to an arrest affidavit obtained by NBC News, police say Rylett had demanded one of the girls who makes videos for his channels undress as he proceeded to molest her and threaten "to use the contract to fine her if she did not comply with his demand." The British native pleaded not guilty to the second degree felony charges during an arraignment on Aug. 28, according to court records. A lawyer for Rylett did not respond to NBC News' requests for comment. Rylett, whose kid-centric channels are still live on the video platform, established the tween-focused brand in 2008. The franchise now encompasses seven channels and has over 17 million subscribers. YouTube told NBC News on Tuesday that Rylett's channels were deprived of their ability to make revenue shortly after his August arrest and that they will be terminated "immediately upon conviction [or] guilty plea." The next hearing in Rylett's case is scheduled for Oct. 1.